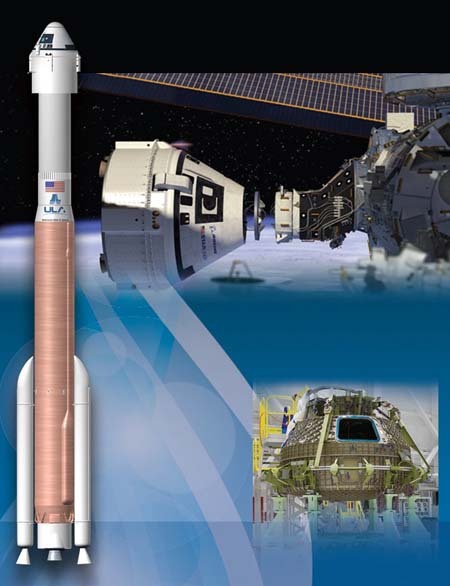 The leak is likely to delay its launch schedule and is another setback for a program that has faced a number of problems. The trouble also comes as Vice President Pence is expected to announce the crews for the first missions during a ceremony in early August at the Kennedy Space Center in Florida. A sources familiar with the incident told Parabolic Arc the problem occurred with a valve on the test rig, not on the motor itself. The problem has been addressed and did not represent a significant setback, the source added. Pence is expected to visit NASA’s Kennedy Space Center on Aug. 2 to make the Commercial Crew announcement. Four NASA astronauts — Robert Behnken, Eric Boe, Douglas Hurley and Sunita Williams — have been working with both Boeing and SpaceX in developing crew vehicles. However, NASA has yet to announce flight assignments for the astronauts yet. Nor has the space agency updated its flight schedules for Starliner and SpaceX’s Crew Dragon spacecraft. Both vehicles must complete automated and crewed flight tests to the International Space Station (ISS) before they can be certified to carry astronauts on a commercial basis. Officially, the companies are supposed to conduct flights without crews to the station next month, but Pence will almost certainly announce delays when he travels to Florida on Aug. 2. NASA officials have said they hope to get the automated flights launched by the end of the year. However, doubts have been raised about whether this goal is realistic given continued delays in the development and testing of both vehicles. In a report published earlier this month, the Government Accountability Office (GAO) said NASA needs to develop a plan to assure continued access to the space station by U.S. astronauts. The space agency has booked seats aboard Russian Soyuz spacecraft only through November 2019. However, NASA might not certify Boeing’s Starliner and SpaceX’s Crew Dragon until December 2019 and January 2020, respectively, the GAO found. One option NASA is considering is to convert the Starliner crew flight test into an operational mission by keeping the spacecraft and its crew at the space station longer than planned. The plans would create additional risks the space agency must analyze. I thought Boeing and AJR were the adults in the room? In other news a complete flight quality Dragon 2 is at KSC now, with SuperDraco LES thrusters that were qualified years ago. 2) then it went to early sept.
3) now it is for Q3. All in all, there might be a lot more going on with Dragon2 than what we have heard. They just completed qual for COPV v2. That needs to be feathered into the block 5 production line. Also the CAA work needs to be performed between access limitations do active missions. Lastly missions to ISS need to be carefully de-conflicted. Also lots of planning around prox ops and docking tests with ISS. Meh, not very big news. When you building a new spacecraft, ur gonna find issues that need to be addressed. Actually…anything new. They tested, had a problem and are addressing it. This is why you test. It wasn’t as big of a setback as the media are reporting. There are some issues with the Dragon at KSC that SpaceX needs to address. But, I’ve already said too much. Might be able to elaborate later. The question I want to hear asked at the preflight presser: Is it true that the Dragon is going to hover slam the station? Especially if it is just a problem of the test stand and not the spacecraft itself. NET for SpaceX Aug. 31 I read . Headline says abort test. Not abort test. It did not fly or I have not seen one on NASA TV. It was a test of the of the abort engines. Abort test will not be done in secret. Yes, but why are they just seeing this now? Shouldn’t the abort propulsion system testing have been finished a long time ago? I have no doubt there are outstanding issues with all new capsules, launchers, airplanes etc. This won’t affect the uncrewed OFT. Might push back the CFT. This was an integrated vehicle hotfire test of the whole capsule with the engines installed. Basically the last thing you do before the pad abort test flight. Only the ISS is a real issue. Hawthorne is cranking out boosters, B1051 should ship this week. No launches from 39A since May. The CAA install prep work has been tracked very closely given it is visible from public bus tours. The arm is still in the tent. Not just missions on 39A impact schedule availability to work on that pad. True. However it’s not clear that the CAA needs to be installed at all for DM-1, since Dragon can be fully loaded and closed out on the ground, and CAA function can be fully tested with fit checks without a live mission. If only one component leaked and there was no fire that destroyed test article, this cannot possibly be as bad a deal as some people make it sound. What’s the reference? SFN says Q3, so NET October. Oct would be Q4, no? I was wondering why SX pushed back on launch. Hopefully, it is as minor as Boeing’s appears to be. But the point is that launch continues to slide right. Spaceflight Now or NASA Space Flight article. SpaceX says Aug. It does not matter. They have until Oct ’19 to get the test flights done. The schedule might change, but Boeing is going 1st. So SpaceX would go 6 months later in ’20. Each gets 1 flight a year for Crew. Valve leaked after hot fire test. They will not fire the abort engines unless they use them on ascent or de-orbit. So the valve should hold until the service section is jettisoned. They should have put the abort engines on the capsule like Dragon 2. If the parachutes fail. they could have the crew fire them. Take real skill to fire at the right time. 1 parachute did fail on Apollo. Maybe a computer could fire at the right time using GPS. Agreed. Concerning that the schedule is sliding to the right for everybody. We are talking about hypergolics here. Highly corrosive and extremely toxic, requires full hazmet protection. Basically all the components that comes in contact with the hypergolics have to be removed, possibly discarded & de-contaminated.